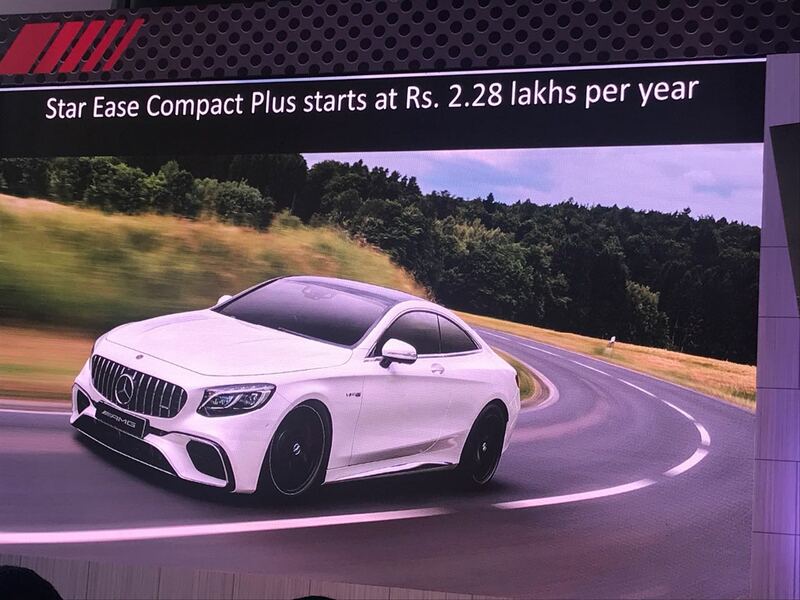 The 2018 Mercedes-AMG S63 Coupe is the fourth AMG model to go on sale in India. 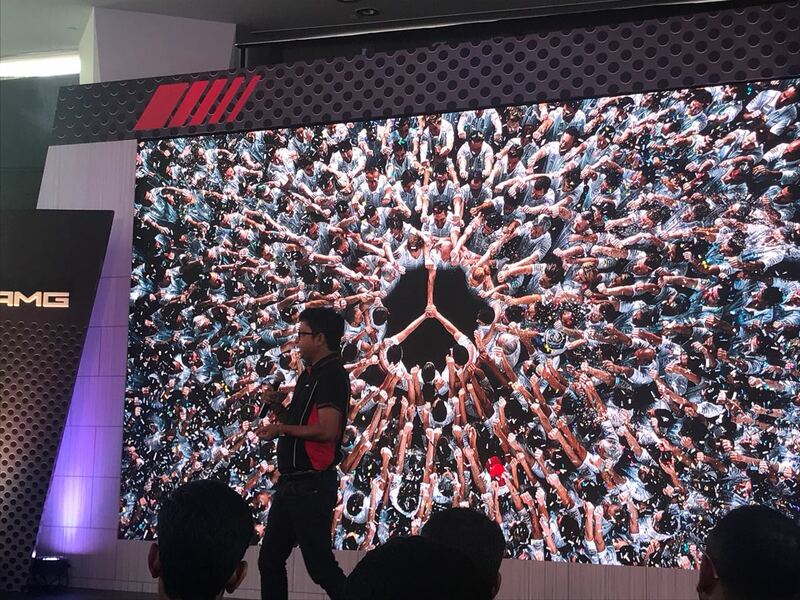 Here are the highlights from the launch of Mercedes' newest performance model. 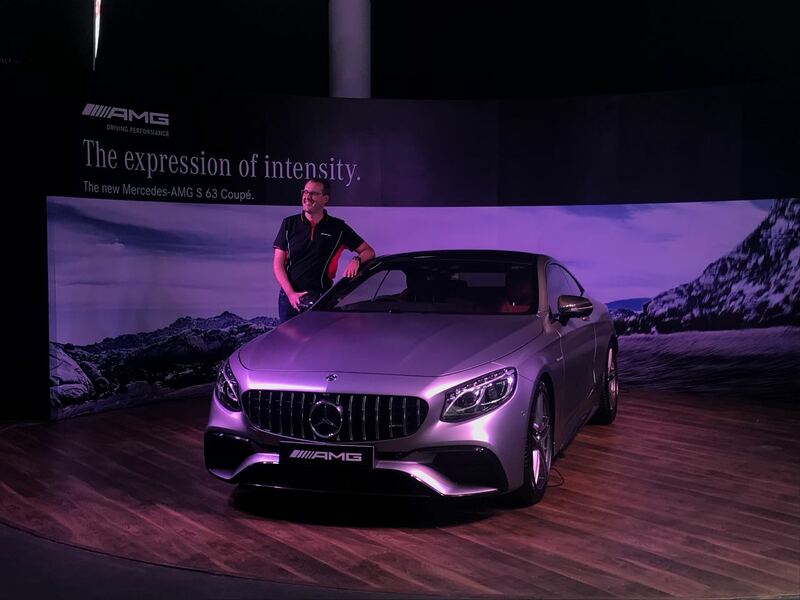 The much-awaited 2018 Mercedes-AMG S63 Coupe has been launched in India priced at Rs. 2.55 crore (ex-showroom). This is the fourth AMG offering to go on sale in the country this year, and the seventh Mercedes-Benz model to be launched in 2018. 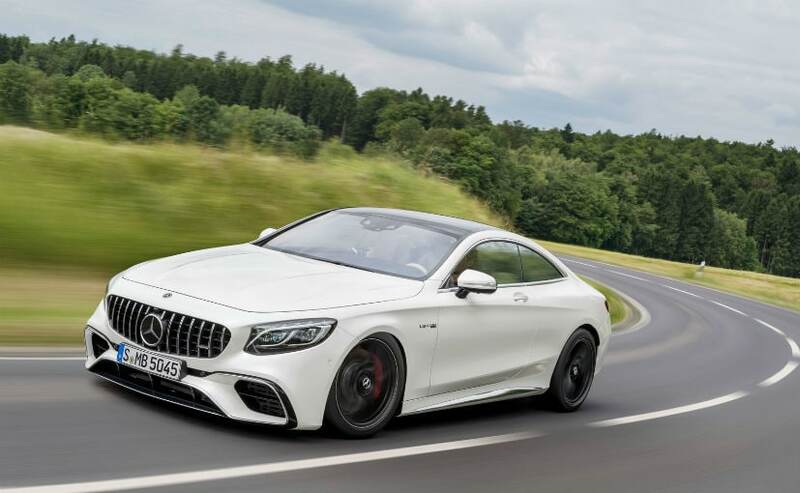 The new S63 AMG Coupe joins the standard four-door Mercedes-Benz S-Class facelift that was introduced earlier this year and gets a host of upgrades as part of its mid-cycle update. Power comes from the performance focused V8 engine on the S63 Coupe while keeping the opulence and luxury in check. 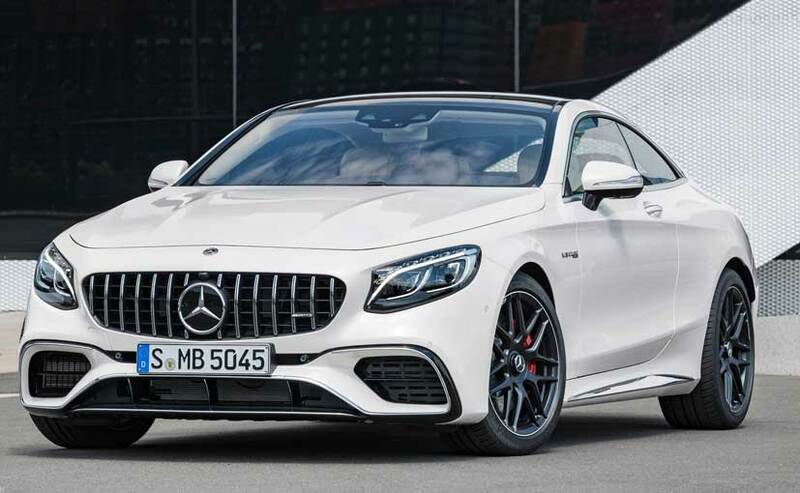 Visual upgrades on the new S63 AMG Coupe are in plenty and most prominently include the new AMG Panamericana grille that dominates all the top models coming out of Affalterbach. The two-door model gets the V-shaped cooling air intake, while there are new side skirts with chrome elements and large 19-inch forged alloy wheels for a sporty appeal. The uplift at the front axle has been reduced with the use of aerodynamically shaped high-sheen chrome edges. Meanwhile, the rear gets diffuser inserts coupled with the AMG exhaust system with quad tips. Inside, the 2018 Mercedes-AMG S63 Coupe comes with the twin touchscreen system, Nappa leather upholstery with AMG sports seats and an AMG steering wheel with paddle shifters. The cabin is covered in AMG carbon fibre and piano black trims all over, and there are plenty of AMG badges to denote the kind of power this two-door holds. 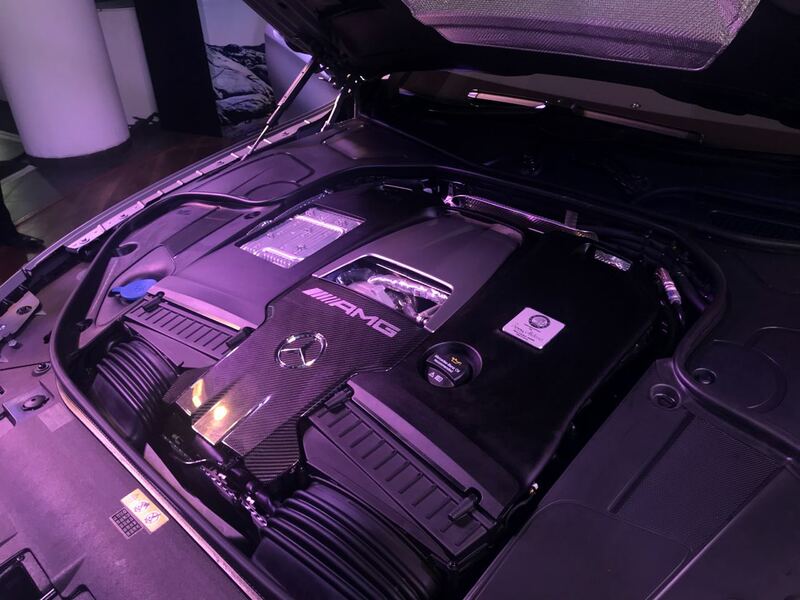 Under the hood, the Mercedes-AMG S63 Coupe will draw power from the 4.0-litre V8 bi-turbo engine that produces 612 bhp and 900 Nm of peak torque. 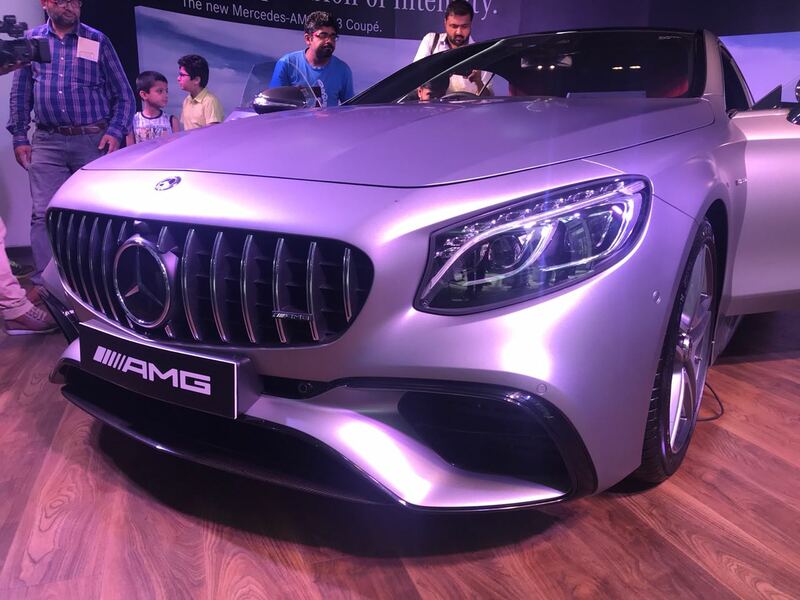 The engine comes mated to AMG Speedshift MCT 9G transmission that allows the car to accelerate from 0-100 kmph in just about 3.5 seconds. The top speed has been electronically restricted to 250kmph. The absolute behemoth 2018 Mercedes-AMG S63 Coupe's 4.0-litre biturbo V8 engine. 612 bhp and 900 Newton meters of torque with power sent to all four wheels. That's the 2018 Mercedes-AMG S63 Coupe in all its glory. Mercedes-Benz is also introducing the Star Ease Compact Plus service package for its cars that starts at Rs. 2.28 lakh per year. There will also be a Mercedes customer programme - Circle Elite - introduced later this year. 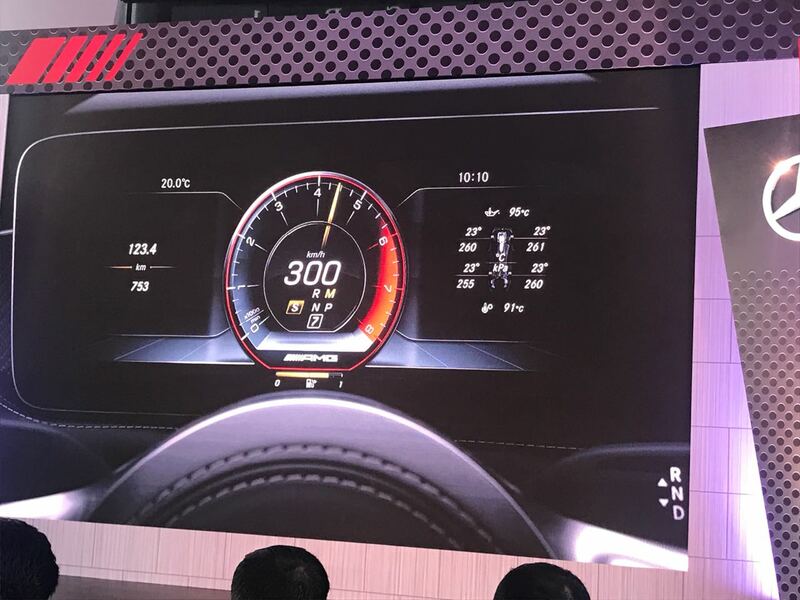 The 2018 Mercedes-AMG S63 Coupe comes with dual touchscreen infotainment systems. The cabin is covered in carbon fibre, Nappa leather and piano black finished surface keeping the opulence and sporty nature intact. The car uses a 4.0-litre biturbo V8 engine tuned for 612 bhp and 900 Nm of peak torque. The motor comes paired to a 9-speed Speedshift transmission. 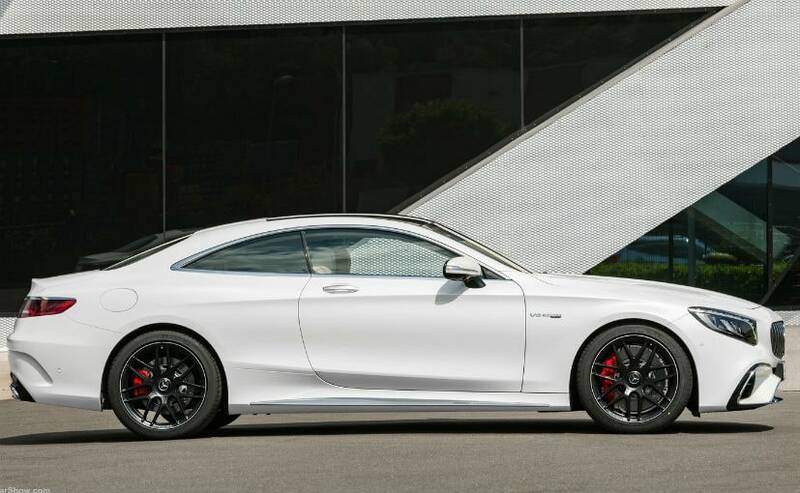 The 2018 Mercedes-AMG S63 Coupe gets the AMG Driver's Pack as standard. Top speed is limited to 300 kmph. The 2018 Mercedes-AMG S63 Coupe gets Swarovski crystals in the headlamp wth 66 OLED in the tail lamp. The two-door coupe gets 20-inch forged alloy wheels as standard. The Panamericana grille is now seen on most new AMG models. The 2018 Merceds-AMG S63 Coupe gets one too. 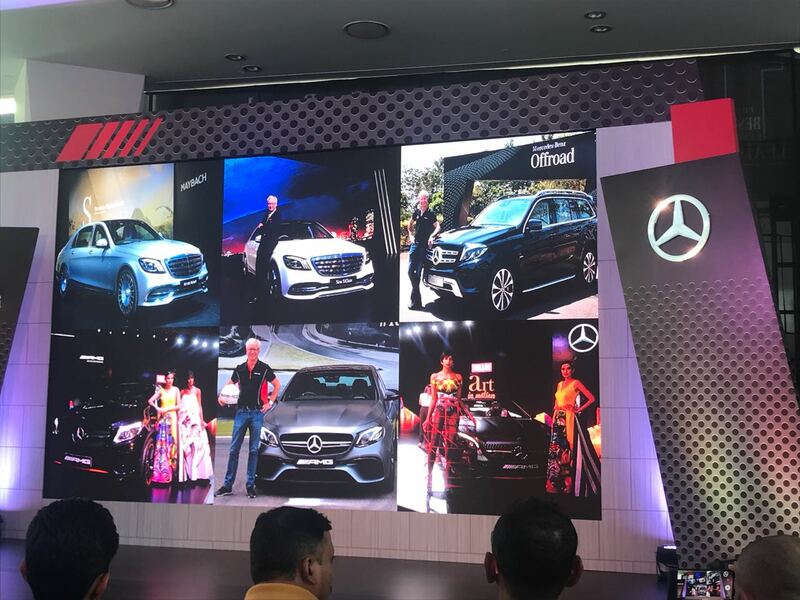 Mercedes has so far introduced six cars in India. 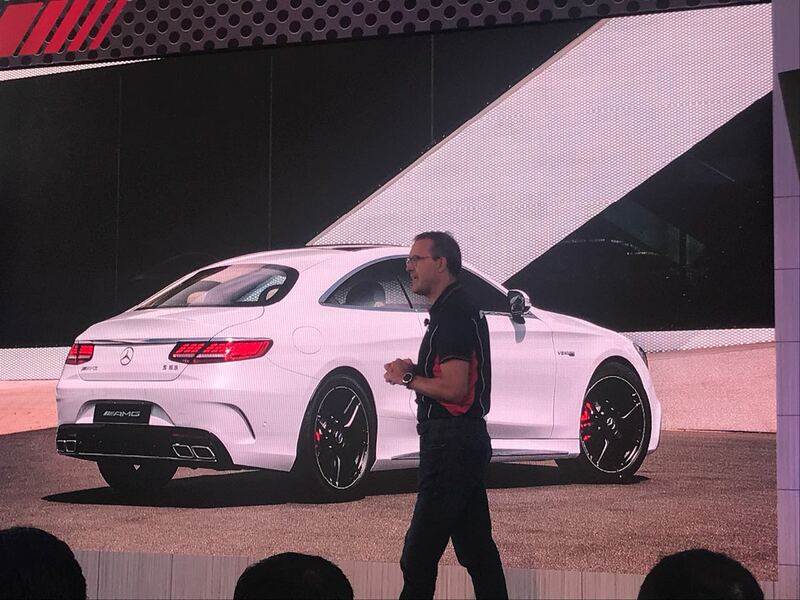 The Mercedes-AMG S63 Coupe is the seventh. 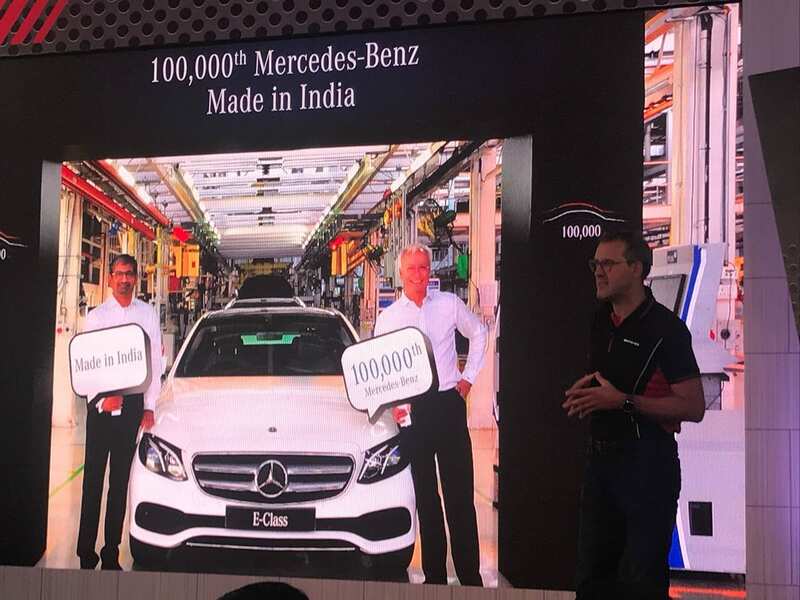 Mercedes-Benz India recently produced its 100,000th car at the Chakan facility. The car was the E-Class Long Wheelbase edition. 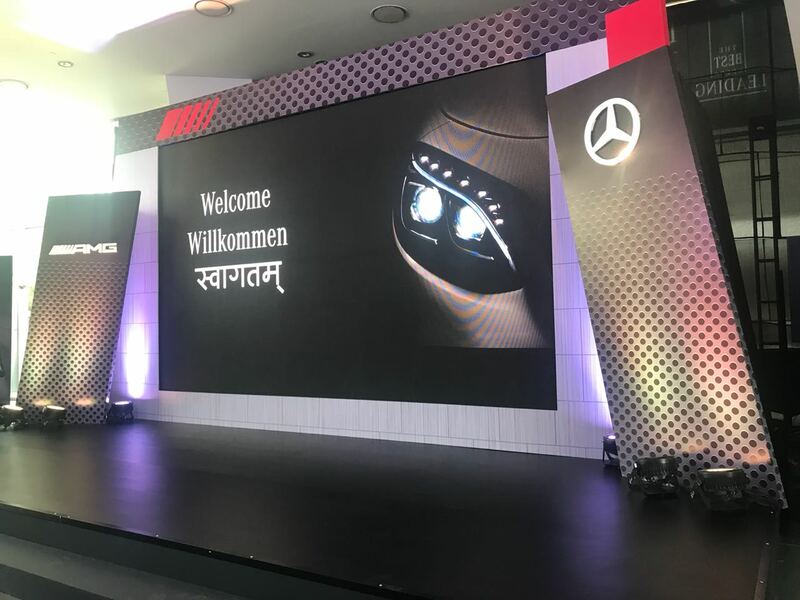 This is the fourth AMG launch from Mercedes-Benz in India this year. The Mercedes-AMG S63 Coupe uses a AMG Speedshift 9G transmission that sends power to all four wheels via the 4MATIC All-Wheel Drive system. 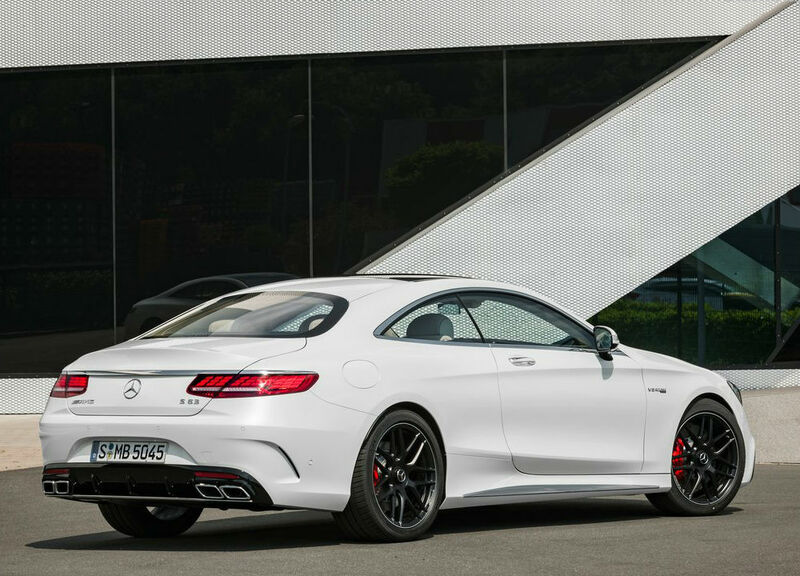 The Mercedes-AMG S63 Coupe is powered by the 4.0-litre Biturbo V8 engine tuned to produce 612 bhp and 900 Nm of peak torque. The performance Coupe offers some supercar level of acceleration and can sprint from 0-100 kmph in just 3.5 seconds. Here's a sneak peak of what's stacked later in the day. 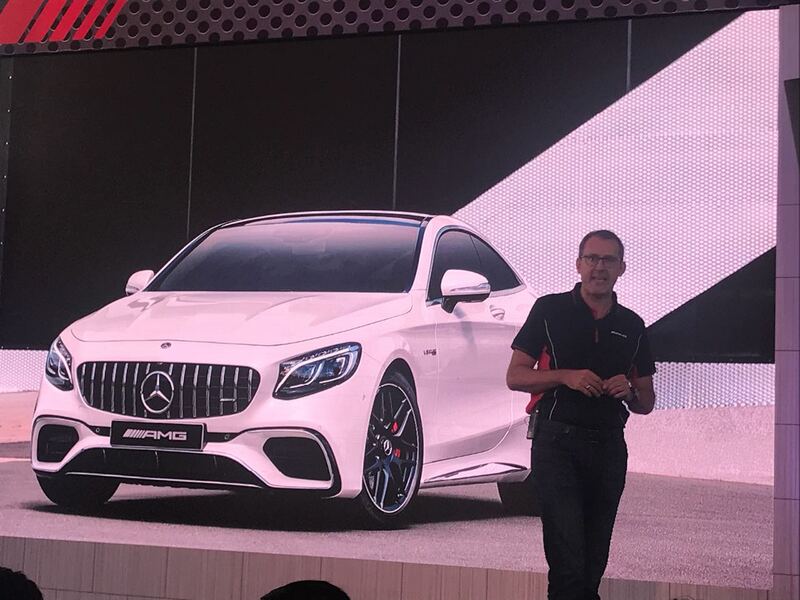 Stay tuned for all the live updates from the Mercedes-AMG S63 Coupe Launch. 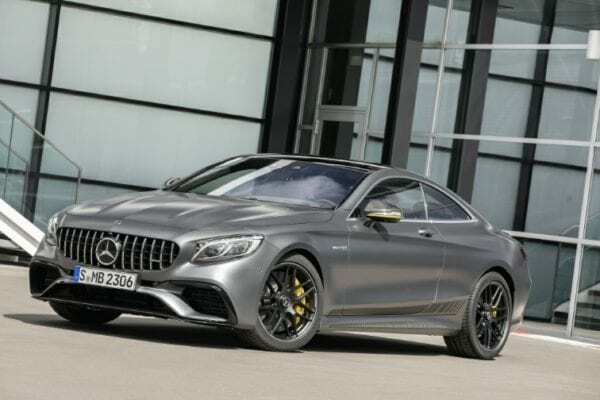 The updated Mercedes-AMG S63 Coupe carries the traditional AMG elements as well including the 19-inch forged alloy wheels, and the trapezoidal exhaust tips. Mercedes-AMG also offers Organic Light-Emitting Diode (OLED) technology for the tail lamps. Each rear lamp cluster arranges 33 of the wafer-thin OLEDs in a three-dimensional pattern. Visually, the 2018 Mercedes-AMG S63 Coupe gets plenty of upgrades including new front headlamps with wide new OLED taillights. The new and more aggressive Panamericana grille takes prominence upfront and lends a dominating face to the S63 AMG Coupe. 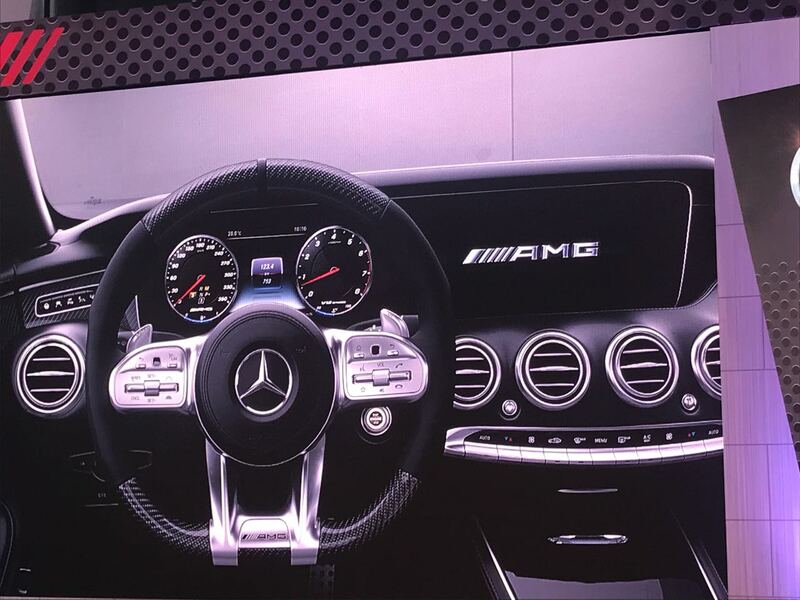 For the 2018 update, two-door offering also gets a pillar-less windshield and a rakish roofline, which pays tributes to the Mercedes-Benz Coupes from the 1960s. Mercedes has also reworked the bumper on the S63 AMG Coupe with a deep front apron that gets a jet-wing design and channels more airflow inside. 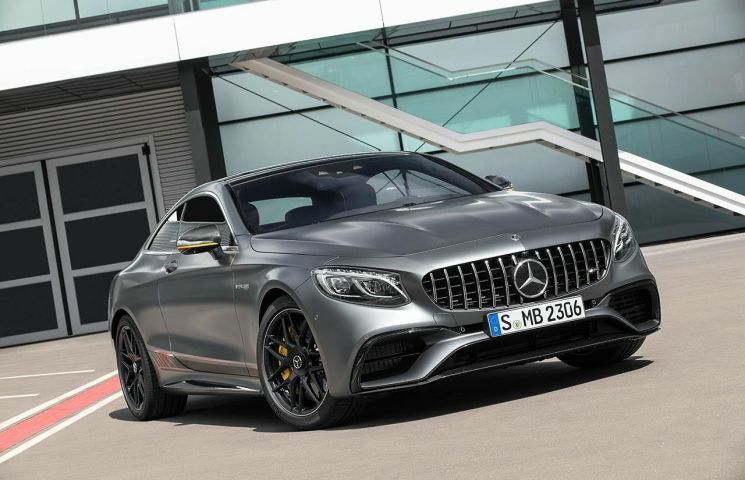 The 2018 Mercedes-AMG S63 Coupe is the fourth AMG offering to go on sale this year and gets extensive upgrades aesthetically and to its driving dynamics, performance, equipment as well as comfort. Mercedes-Benz India will be introducing the 2018 AMG-tuned S63 Coupe in the country later today. 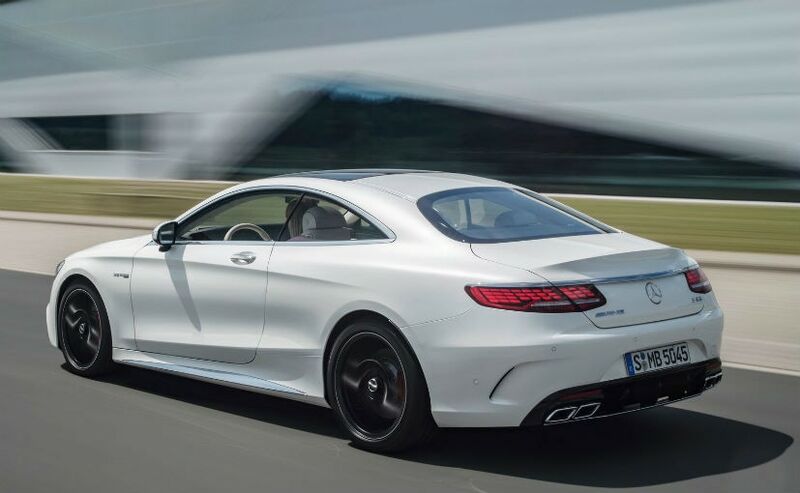 The two-door model shares its underpinnings with the S-Class, but brings the exclusivity of a coupe with the performance of a V8. 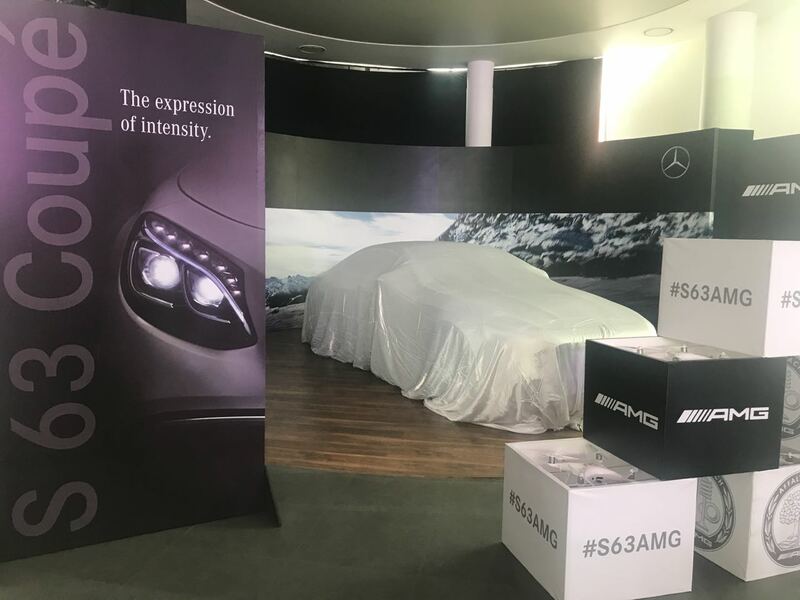 Stay tuned for all the updates from the Mercedes-AMG S63 Coupe launch.